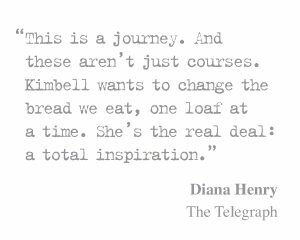 I’m delighted to share this sourdough recipe taken from the book Fermented by Charlotte Pike; it’s a brilliant book, that is beautifully photographed by Tara Fisher, and styled by Annie Rigg. I met Charlotte way back when I wrote my first book, when she kindly helped me test some of my recipes. It was in the days when we had time to visit each other and have lunch. We’d chat about our hopes and dreams. These days we are lucky to grab five minutes to catch up on the ins and outs of life, but being short of time is sometimes the price you pay when your dreams come true. Charlotte is now an established food writer and graduated from Ballymaloe cookery school. I did get to spend some time with Charlotte when she spent the day here at the Sourdough School whist extensively researching for this wonderful book. There are lots of recipes in Fermented, that go far beyond Sourdough, and include recipes on making your own yogurt, Sauerkraut, Kefir, Kimchi and vinegar. It’s a fantastic addition to anyones bookcase. Sourdough Bread Sourdough bread is one of the most rewarding things to bake. It takes a bit of practice to get it right, but the results are delicious. 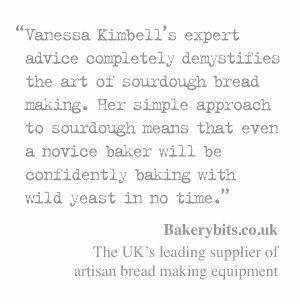 Don’t be put off if it doesn’t work perfectly first time; make a note of what you did and eventually you’ll perfect your loaf, getting better every time you make it. 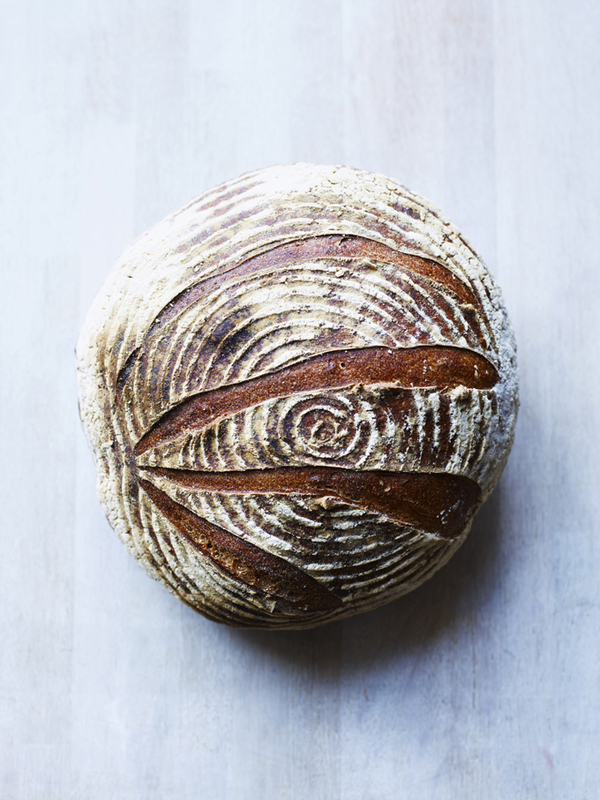 Sourdough bread is simply made from flour, water and salt – with no added yeast, unlike ordinary bread. Instead it slowly harnesses wild yeasts in the atmosphere to activate these simple ingredients. This means conditions such as the environment you live in, and the temperature of your home, all play a part in the process – which is why you may need to tweak the method to work for you. Sourdough bread not only tastes fantastic, but it is also easier to digest than most other breads. 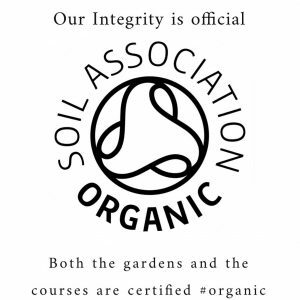 This is because the process of fermentation digests the phytic acid in the grain. Phytic acid, or phytate, is a substance found in many plant foods, including grains. When ingested, it binds nutrients in the digestive tract, which inhibits their absorption by the body. Fermenting grains, such as wheat flour, by making a sourdough starter, breaks down the phytic acid, making vitamins and minerals in the grain more available for our bodies to absorb. Always use organic flour for best results. If you’re on mains water, it’s a good idea to use filtered water, if you can, as chlorine and chemicals could inhibit the fermentation process. To make sourdough bread, you will first need to make a starter. Sometimes people are given a starter from a friend, who already has one established. If you’re not so lucky, and don’t want to make your own starter, you could buy the starter from a specialist bakery or delicatessen. If this is the case, you can skip to Step 2 of the recipe. 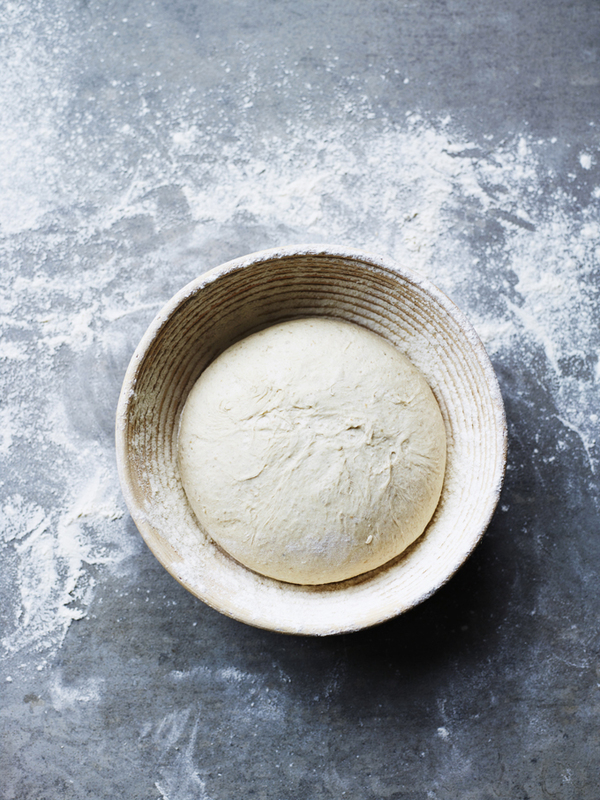 If you’ve never made sourdough before, this is the place to start. It can take a couple of attempts at sourdough to get it right, but that’s the same for everyone, so don’t be disheartened if your first attempt doesn’t turn out perfectly. Sourdough is a living, breathing thing, and it reacts differently, depending on the weather, where in the world you live and the ingredients you use. You can either make your starter from scratch, or use one from someone who has one already established, which saves a couple of days. If you’re given some active starter, you can skip to Step 2. Day 1 Measure out 100g of the flour and 100ml of the water in a large mixing bowl. Stir well with a wooden spoon to form a smooth paste without any lumps. Loosely cover the bowl with clingfilm or a cloth and set aside on your kitchen worksurface for 3 days. Avoid disturbing it during this time. Day 4 After 3 days, the starter will be more runny and smell slightly fruity or vinegary. 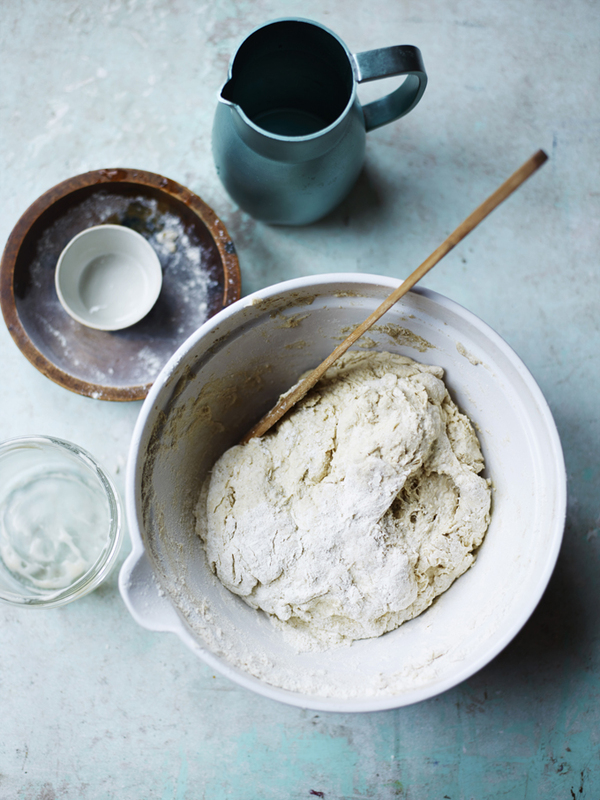 Stir the starter with a wooden spoon and mix in 25ml of water, stirring well to evenly incorporate, then 75g flour. Cover the bowl lightly with clingfilm or a cloth and set aside for a further day, again on the worksurface. Day 5 Weigh the mixture and throw away half. Place the remaining 200g (approx.) back in the bowl and stir in the remaining 75g flour and 25ml water. Cover with clingfilm or a cloth and set aside on the kitchen worksurface for a further day. Day 6 Your sourdough starter is now active and ready to use. It should smell fruity and vinegary, but not excessively sour. If the starter smells very strong, and possibly unpleasant, it’s likely it has died, and you will need to start again. There are many reasons for starters dying; it can sometimes be caused by ambient temperature or the water you’re using. Later on, it can die by being fed too little. The best advice I can give you is not to worry. It happens. The hardest part of making a starter is getting it going. Just throw it away and start again. Keep a note of everything you do, as it may help identify future successes and failures further down the line. Weigh out 75g of the starter and store in a sealed plastic container in the fridge. This is your sourdough insurance policy. You can leave it indefinitely in the fridge or freezer as a back-up. Don’t worry if it separates. The vinegary layer that forms on the surface is called hooch. It’s a protective layer, and it may turn quite black in colour, but this is absolutely fine. When you are ready to use it, simply stir the hooch into the solids and use in step 2 of the recipe. A levain is the stage between the starter and the bread dough. You take a small quantity of the sourdough starter and activate it. Sourdough levain is what I use in all of my sourdough baking recipes. 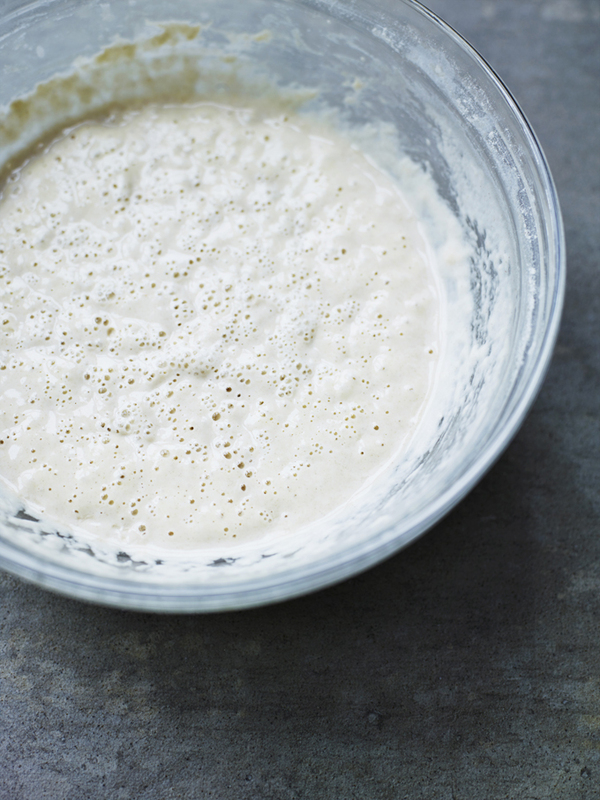 Place 75g sourdough starter in a large mixing bowl and stir in the water. Add the flour and mix to a thick paste. Cover the bowl loosely with clingfilm and set aside at room temperature for at least 4 hours, after which time it will start to bubble. This shows it’s ready to bake with. The levain will remain active for up to 3 days, stored covered in clingfilm on the kitchen worksurface; just make sure you stir it well before use. STEP 3 – MAKING THE SOURDOUGH BREAD Put all the ingredients in a large bowl and mix together to form a wet and sticky dough using a spatula or wooden spoon. Set aside at room temperature for about 20 minutes, covered lightly with clingfilm. 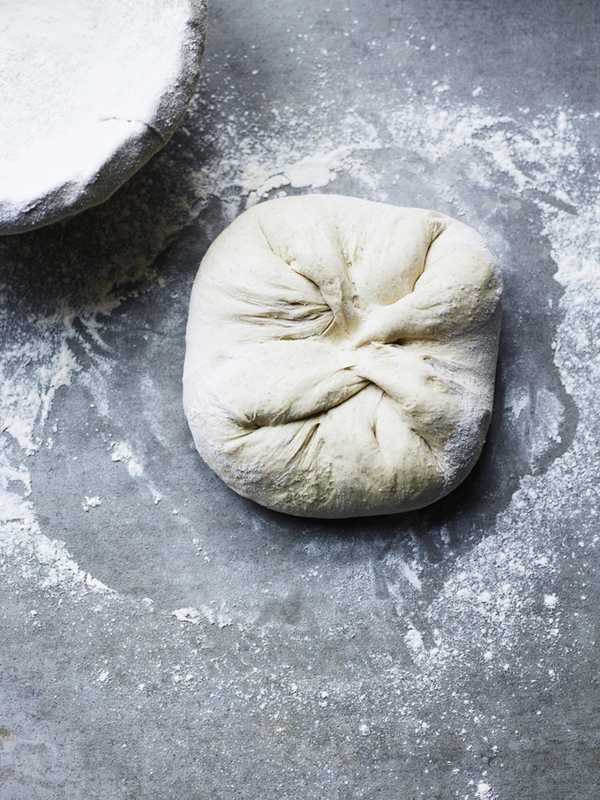 Knead gently for 2–3 minutes and then set aside for 1 hour, covered with clingfilm. The dough will still be quite wet and sticky. It won’t increase in size yet. Don’t worry if you can still see streaks of flour through the dough. 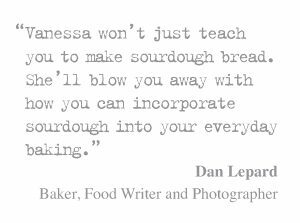 You want to treat your sourdough gently, rather than knead it as kneading will produce a tough loaf. Turn the dough out onto a floured worksurface. Lift one edge of the dough and fold it into the centre. Give the dough a quarter turn and repeat this process 4 times. 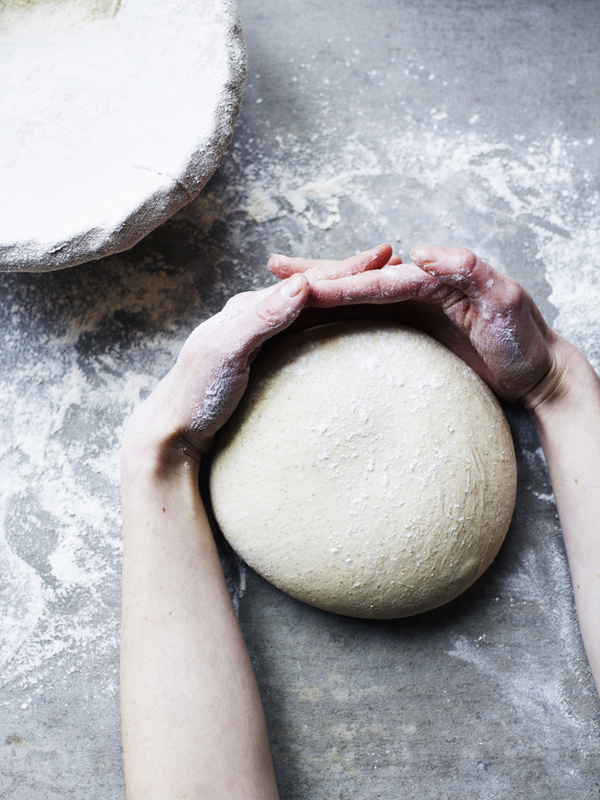 This will start to bring your dough into a ball. Preheat the oven to 200°C fan/220°C electric/gas mark 7 and place a baking tray or baker’s stone inside the oven to heat up. Just before you are about to bake your loaf, remove the tray or stone from the oven and dust it liberally with flour. Turn the bread out onto the floured tray or stone and deeply score the surface with a sharp blade. Bake for 40–50 minutes until the crust is brown and firm, and the loaf feels lighter. Remove from the oven and transfer to a wire rack to cool completely. This bread keeps very well, and is delicious toasted when a few days old. 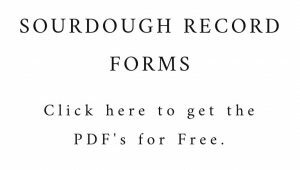 Share the post "Sourdough Recipe – From Charlotte Pike’s book Fermented"
I have always used a finely grated organic apple picked same day from my garden for my starter. Your recipe states just flour and water…why? I assume the apple speeds up and makes a livelier starter…and it certainly activates much quicker during every process. I use just flour and water. Apple acidifies the dough and bring ready available sugar to the microbes. That said it also can bring in other unwelcome microbes and the dough will ferment anyway .. with or without apple given warmth and regular refreshment. hi Vanessa thanks for your unbelievable website… I am a fan! Can I leave the dough for the second proof (4-6 hours) in a bowl rather than the banneton and shape it afterwards? It got stuck quite terribly in the banneton even though I really floured it well. Did you follow my recipe or this one? Have you tried rice flour in the banneton? This helps a lot! I followed this recipe .